Atmosphere simple, yet elegant, soft lights sweetened with painted walls that give the rooms a homely warmth, small masterpieces, a large garden overlooking the the old town of Palermo and a decor that gives due importance to the wealth of culinary and artistic dishes. The most good pizza in Palermo. Something special, with fresh fish. 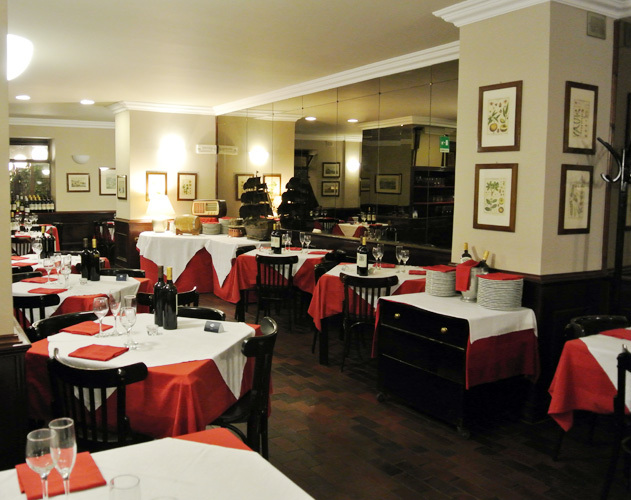 The restaurant pizzeria "Al 59", open since 1973, is one of the most rich in history. It is located in front of the Teatro Massimo, and over time has become a meeting place for many artists. Witness the walls, over the paintings on the walls of contemporary painters, host various dedications of celebrities. It has about 130 seats inside and 230 outside in a charming indoor garden, newly refurbished. Copyright © Ristorante - Pizzeria al 59 - 2017. Tutti i diritti riservati.